District and Circle back to Westminster and go from thereDocklands Light Railway to Canary Wharf and hop on the Jubilee farther downBlack cab to Bermondsey to bypass London Bridge...Londoners can spend many happy hours in a pub debating options such as these. There have been many reactions to the funeral of Senator Edward Kennedy (may he rest in peace) and this one quoted at the excellent "The Deacon's Bench"blog is representative: "Liturgical comfort food". Given Senator Kennedy's support for abortion, there is a real question over whether there should have been a high-profile Catholic funeral at all. 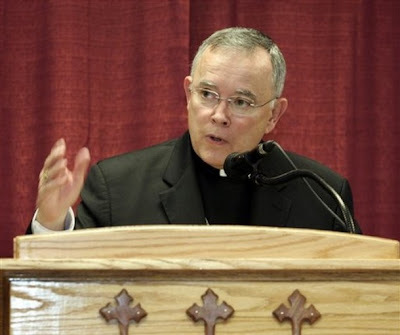 As Robert Kumpel points out at St John's Valdosta, if the Archdiocese of Boston can honour a pro-abortion politician and allow a pro-abortion president to eulogise him then they perhaps owe an apology to the Mafia. 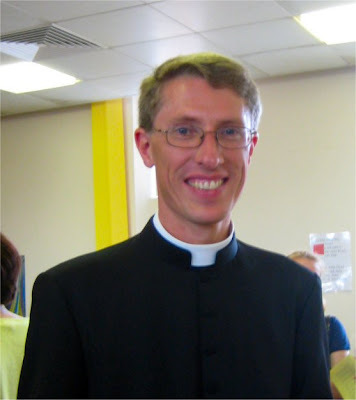 Fr Philip Miller of the Archdiocese of Westminster celebrates the tenth anniversary of his priestly ordination this week. I travelled over to St Albans this morning to concelebrate at with him and a number of other priest friends. The Mass was celebrated with gravitas in the ordinary form, mainly in English, but with a choir of friends, conducted by Jeremy White, who sang parts of Palestrina's Missa Brevis and Morten Lauridsen's O Magnum Mysterium. Congratulations to Fr Miller: ad multos annos! 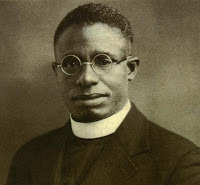 Today I found this Grassroots video via The Deacon's Bench which is a reminder for all of us who are celebrating anniversaries, of the priestly dignity which we are called to live up to. More information at LifeSite news: New Documentary "Blood Money" Seeks to Expose the Abortion Business. This is a film that you can support quite easily:"Blood Money" still does not yet have a distributor, but Kyle is hopeful that through the support of pro-life advocates the film will gain the attention of one. In order for this to happen, though, he says that people need to register at the website or watch the preview on youtube to show their support.So just view the video above and embed it onto your blog if possible. "Catholic" is the newspaper produced by the Sons of the Most Holy Redeemer whose monastery is on the island of Papa Stronsay in the Orkneys. You can susbscibe at their blog Translapine Redemptorists. For £10 a year, you get four issues of "Catholic" and a substantial supplement with each issue. Bishop Jesse Mercado of the diocese of Parañaque in the Philippines has actively encouraged the celebration of Mass according to the usus antiquior at the National Shrine of St. Therese of the Child Jesus where there is a Missa Cantata every Sunday at 9.30am. There are several other locations in the Philippines where the Classical Roman rite is celebrated. The photo above is from Christmas Day Mass at the parish of Jesus, Lord of the Divine Mercy, in the Diocese of Novaliches. 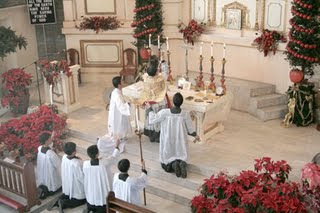 Philippine 'Diocese brings back Latin Mass' for more details. I'm happy to pass on this job advertisement from the Sisters of the Gospel of Life. This is a really lovely young family, in urgent need of a nanny. It would be great if other bloggers could pick this up and people could spread the word. Thank you and God bless! I don't normally do these things but I thought I could dash this one off quickly. Patricius at Singulare Ingenium asks "What are the seven things that we as Catholics want or would like to see happen?" The Faith Summer Break for young people (11-16) includes talks on the faith, Mass each day and various spiritual exercises. It also includes sports, games and a trip to Chessington World of Adventures. 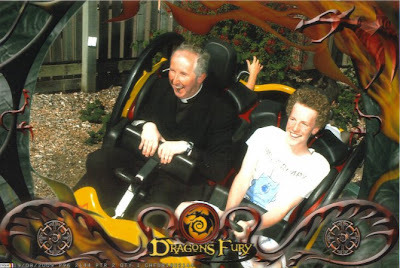 One of my young parishioners who attended sent me this photo of himself and Fr Stephen Boyle subjected to some greater than customary g-force on the "Dragons Fury" ride. The Oxford Companion to Western Art says that in his work,Tiepolo consciously revives the artistic language of Veronese, not out of nostalgia but as a source of strength and renewal. Miguel Hayworth's case has been taken up by the Christian Legal Centre which has written to complain to the Police. Thanks to The Lion and the Cardinal for a recollection from Simon Tolkien of his grandfather, JRR Tolkien going to Mass in Bournemouth. 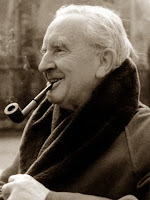 Apparently the English Mass had just been introduced but Tolkien didn't like it. While the rest of the congregation made the responses in English, he made them loudly in Latin, oblivious to the reactions of others. A Catholic member of SOGAT got a proposal opposing euthanasia carried at either the 1972 or 1974 conference of the union (which is now part of the print section of UNITE). Unfortunately he has lost his copy of the proceedings. He has asked me to enquire here whether anyone knows where it might be possible to retrieve the proceedings of the 1972 and 1974 conferences. If you want me to put you in touch with him by email, feel free to post a comment marked "Not for publication" or to email me at rosary@freeuk.com. Thursday September 24th, 6.30pm. Led by Joanna Bogle. Meet on the steps of Westminster Cathedral. A Catholic History Walk. 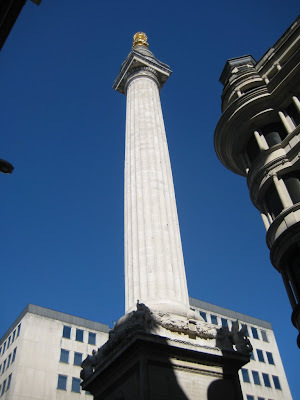 Come and discover the Catholic links that surround the heart of Westminster! An evening of history, in good company, in a spirit of cheerful faith and inspiration! Warmest congratulations to Jeffrey and his family who were received into the Church on 18 July. (He comments on the relevance of the feast of St Camillus de Lellis in his own life.) After a few week's break for quiet and reflection, Jeffrey has returned to blogging - as a Catholic layman - at his blog de cura animarum. Apparently a document with several propositions regarding the newer form of the Roman Rite has been submitted to the Holy Father for his approval. Some of the propositions deal with the use of Latin, communion in the hand, and the orientation of the priest. This is all most encouraging. Opposition to the older form of the Roman Rite often goes hand-in-hand with an approach to the newer form that has little to do with the tradition of the Church and embraces the "hermeneutic of rupture". It is with a profound sense of shock and sadness that we announce that Fr Ed Houghton was fatally injured in a road accident in North Yorkshire yesterday, Friday 21 August. He was forty years of age and had been a priest for just over one year. May he rest in peace. Our thoughts and prayers are with Fr Ed's immediate family - his sisters and brother, at this time. We remember also the parish communities at Chiswick where he was Assistant Priest, and the Cathedral where he served his year as a Deacon. I am happy to pass on details of the following event which looks to be most interesting. Sadly, as with most Saturday events, I won't be able to go myself because of the parish schedule but I do recommend it to you. Catholic rapper Akalyte has this on Matt 16.18. Rap is not really my cup of tea (don't look so surprised!) but I do rather like the way that the voice of Archbishop Fulton Sheen starts it off and then pops up now and again. 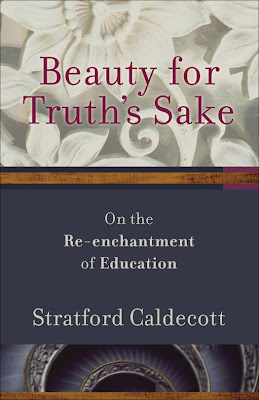 Stratford Caldecott has excelled himself in his latest book "Beauty for Truth's Sake. On the Re-enchantment of Education." (Brazos Press, Michigan) It is quite concise at 156 pages but ambitious in attempting to sketch out a manifesto for overcoming the fragmentary and fractured nature of modern education, split up into disciplines or subjects from which people choose - according to their enthusiasm, or a passing whim very often. 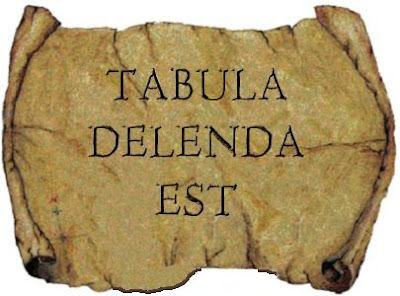 Caldecott invites us to return to the wisdom of the ancients but takes us further than the customary terminus a quo, pointing out that "before Socrates there was Pythagoras." Since the fragmentation of education is a denial of ultimate meaning, we need to be "re-enchanted" by having our eyes opened to the meaning and beauty of the cosmos. We have gained great power over created things but we have lost our confidence in the ability of the human mind to know the truth and to understand what it is that we control. Several of us on the blogosphere drew attention to the attempt on the part of the Tablet to enlist Archbishop Nichols into its campaign against the usus antiquior and those priests who make it available for their people. Bishop Hopes points out that,In his message welcoming priests to the training conference provided by the Diocese of Westminster in conjunction with the Latin Mass Society, Archbishop Nichols expresses his gratitude to those priests who have given up their time to respond to a need in the Church today.Bishop Hopes also refutes the claim that the Archbishop was concerned with "potential schism" or that he was suggesting that the place of the usus antiquior is "necessarily marginal". He quite rightly points the finger at the Tablet for stoking up the "culture wars" from which they sanctimoniously profess to distance themselves. There seem to be a number of important breaking stories this week and I haven't time to do more than list a few of them here in case you miss them on the other Catholic blogs. Rorate Caeli has an English translation of a Bombshell of an Interview with Mgr Bartolucci, Maestro Perpetuo of the Sistine Chapel in which he talks about the liturgical tradition, participation, seminary formation, and "affected cecilianism" in music. 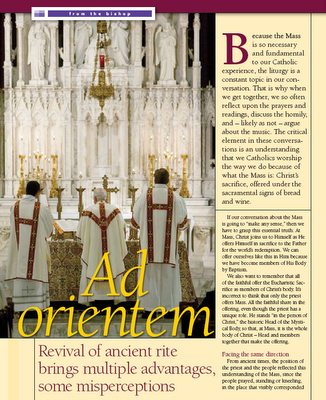 Along with many others, Fr Z has posted on the article by Bishop Slattery of Tulsa, Oklahoma in Eastern Oklahoma Catholic, explaining why he has returned to the practice of celebrating the Eucharistic liturgy ad orientem in his cathedral. Bishop Slattery gives a concise and readable justification of his decision. I especially liked the closing two paragraphs:This change ought not to be misconstrued as the Bishop “turning his back on the faithful,” as if I am being inconsiderate or hostile. Such an interpretation misses the point that, by facing in the same direction, the posture of the celebrant and the congregation make explicit the fact that we journey together to God. Priest and people are on this pilgrimage together. The US Bishops' Conference Secretariat for Pro-Life activities has published a leaflet called Contraception: The Fine Print written by Susan Wills. It gives and honest and well documented account of the way in which the promotion of contraception leads to unintended pregnancies and a higher rate of sexually transmitted infections. The text concludes with a positive summary of the benefits of Natural Family Planning and, for single people, abstinence. The leaflet gives a good clear summary of the truth about the contraception that is promoted to young people as though it were the gateway to consequence-free sexual activity. Further information and references can be found at the "Contraception" page on the USCCB website. Resurgence is a Catholic political party for the UK. As a priest it is not my place to urge you to join it - and I understand that some people take the view that we should work within existing parties. Nevertheless, I think that it is a most interesting initiative and deserves to be known about. The organisation was founded with a declaration made at Mount St Bernard Abbey in 2005, and was registered as a political party in 2007. It has its roots in the ProLife Party which de-registered as a political party in 2004 and is now known as the ProLife Alliance. You can read the aims, prospectus, constitution etc. at the Resurgence website. 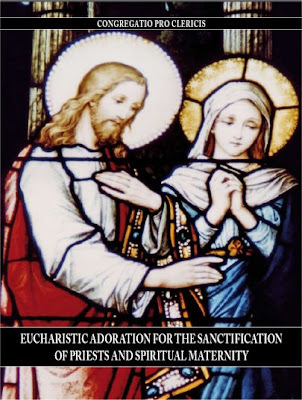 In 2007, the Congregation for the Clergy published a document entitled Eucharistic Adoration for the Sanctification of Priests and Spiritual Maternity. It is largely a collection of reflections on the example of women who prayed particularly for priests. Jane, who writes the blog Thoughts from an Oasis in French Catholicism, has taken up the idea of promoting Spiritual Maternity for priests with a dedicated blog Spiritual Mothers of Priests. She has been helped particularly by the advice and encouragement of Fr Mark of Vultus Christi who lives in the diocese of Tulsa, Oklahoma and spends his time in adoration of the Blessed Sacrament, interceding for his brother priests. 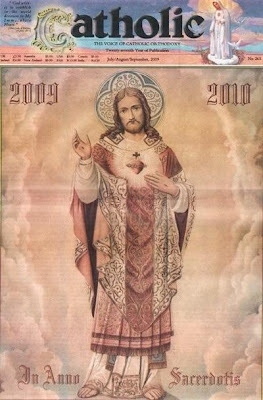 He has a helpful post: What can I do for the Year of the Priest? 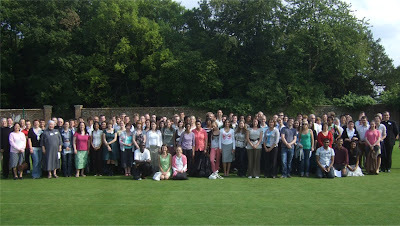 The Second Evangelium Summer Conference has been an astounding success, filled to capacity with young people who described it as ‘a wonderful blend of the head and heart’, ‘inspirational’ and giving them ‘great hope for the future’. Another new film recently released is St Cuthman of Steyning, by Mary's Dowry Productions. The story of St Cuthman's life is told simply with some glorious photography of the Sussex countryside where he lived. The humble Saxon Shepherd was noted for his trust in God's providence and for building the Church at Steyning; Ethelwulf, the father of King Alfred the Great was buried there. St Cuthman is usually shown with a one-wheeled cart in which his disabled mother sat while he pushed her on their travels through the countryside. King Edward the Confessor gave the Church to the Benedictine Abbey of Fécamp; the monks transferred the saint's remains to their Abbey and devotion to him began to spread on the continent. Fr Nicholas Schofield wrote about The Story of St Cuthman on his blog some time ago. Here is the Grassroots webpage for The Human Experience which has the trailer in high quality. Many thanks to Pastor in Valle for the link to this Divinum Officium site. You can select any calendar from 1570 to 1961, choose Latin only or have a facing translation in English or Magyar, and then select whichever hour you want. It is a Breviary-Head's paradise. My friends on Facebook probably realise that I haven't been there much recently - apart from a flurry of activity during the past week or so. I have made a resolution to use it a little more but if you want to send me a message, please don't rely on my picking up things from FB. Carlos Antonio Palad at Rorate Caeli reports on the Diocese of Frejus-Toulon. Next month, Bishop Dominique Rey will be ordaining two priests according to the usus antiquior of the Roman Rite. Both will be priests of the diocese. The diocese opens its doors to seminarians who wish to become priests of the diocese while continuing to prefer the usus antiquior. The policy does not seem to have brought about the disastrous division that many might instinctively fear. As well as the two ordinations scheduled for September, Bishop Rey ordained 14 priests and 11 deacons in the newer form last June. That all sounds pretty healthy for a French diocese. 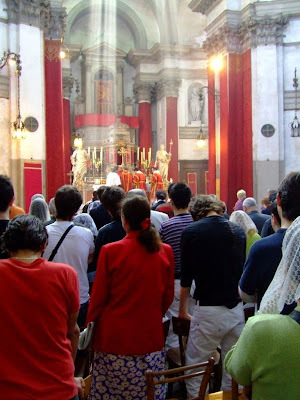 Thanks to Fr Ray Blake, I have been looking through the website of the FSSP in Venice. Don Konrad zu Loewenstein FSSP has care of the Church of San Simòn Piccolo near the railway station. There are some photos from last Sunday's Mass at NLM (San Simeon Piccolo, Venice). 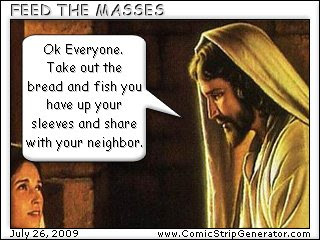 The above photo is from the website - taken on the feast of St Mark. As Fr Blake remarks, San Simòn seems to be the place for young Venetians. It is rather heartbreaking to realise that he is also probably right in describing the Church as "not that significant" in Venetian terms. Venice is one place in Italy that I have not yet visited: I'm rather keen to go there now. When I do, I think I'll ask them if I can take home one of their more ordinary Churches - perhaps one that they wouldn't really miss too much. The FSSP Venice website is very well put together and it is the only website I can remember which has had background music that I have not turned off. For the feast of the Assumption, there were five extraordinary form Masses across Ireland - it is most encouraging to hear of this growth of interest in the celebration of the Sacred Liturgy in the classical form. Thanks for that one to BriFili Stating, a Filipino blogger who is studying Theology at St Andrew's University. Some years ago, not long after beginning to say the classical form of the Roman Rite of Mass, I realised that there was quite a lot that went along with it. A little book "Clericus Devotus" which I consider one of my greatest treasures, demonstrated in its layout of daily devotions, and particularly in the examination of conscience, what was expected from a priest in terms of the life of prayer. Soon, along with many other priests who say the older form of the Mass, I discovered the older form of the Divine Office. This is the focus of quite some controversy since Pope St Pius X made some radical revisions to the breviary and substantial "cuts" were made in the 1950s so that, amusingly, one of the titles widely sold by publishers of traditional liturgical books is Fr Hausmann's "Learning the New Breviary" which is actually an instruction manual for the 1961 breviary. Many thanks to Godzdogz for news of an exhibition:Until the 12th of September, Sir John Soane's Museum in London will be hosting an exhibition entitled: Images from the Past: Rome in the Photography of Peter Paul Mackey, 1890-1901. Fr. Peter Paul Mackey O.P. was a son of the Province of England who was sent to Rome in 1881 to work on the Leonine edition of the works of St. Thomas Aquinas. He stayed in Rome until his death in 1935. During his time in Rome he took many fine photographs which he donated to the British School in Rome. The collection provides an intriguing and fascinating glimpse of the Eternal city during this period.I hope to find time to go to this exhibition it sounds worthwhile in its own right, and I am always happy to find a good excuse to visit this lesser known but charming museum. Mark adds in the post:On the subject of camera-loving friars, it seems that our very own fr. Lawrence has been caught by the paparazzi....Oops! I think that was me. Jane Teresa, who writes the blog "My heart was restless" has been visiting the convent of the contemplative Franciscan Sisters of the Immaculate at Lanhearne in Cornwall. She mentioned that she would have the opportunity to speak about her vocation with Fr Stefano Manelli, the founder and superior of the Franciscans of the Immaculate. Last Tuesday, during her stay, two of the sisters were solemnly professed and Jane Teresa has a set of photographs with commentary. The Franciscan Sisters of the Immaculate tend to go to the usus antiquior (some now come regularly to the 10.30am Mass at Blackfen on Sunday) and the solemn profession was celebrated according to the older form of the Roman-Seraphic Rite. Many thanks indeed to Jane Teresa for capturing some of the solemn moments and providing some texts from the ceremonies. The trip is on Saturday 22nd August. Bring a picnic. Fr Mildew will show people the famous hiding hole from which Fr Blount SJ made a miraculous escape in 1582. Further details on his blog including travel arrangements. I'm very sorry not to be able to make this trip - we have a heavy schedule in the parish on Saturdays. Jeffrey Tucker at the NLM has done a good job of explaining what a Creative Commons licence is and why it is necessary for Catholics to use such licences, especially (though not exclusively for musical works: Creative Commons for Catholics. If you are interested in social teaching, and in particular, the question of continuity-rupture in this context, you will be interested in Opuscula, the blog written by K Gurries. For example, his post On Globalization and Political Authority analyses the concept of globalisation in Caritas in Veritate and concludes with a survey of papal statements on International Order, asking the question "Rupture or Continuity?" More recently, there is a post on The Intervention of Mgr. 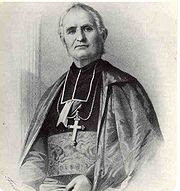 Dupanloup (Part I) looking at how the great Bishop of Orleans defended the encyclical letter of Blessed Pius IX Quanta Cura in the face of fierce hostility in the press. St Bernadette first spent time at the village of Bartres, about three miles from Lourdes, when she was a baby. An accident had prevented her mother from breast-feeding her, and a lady in Bartres, Marie Lagues, who had just lost a baby, agreed to wet-nurse St Bernadette. 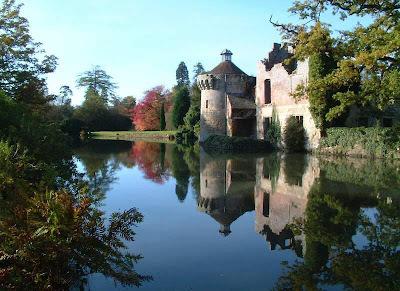 Her second stay was when she was 13, from the summer of 1857. St Bernadette returned to the Lagues farm to help with the housework, looking after two young children, and the sheep and goats that were kept in a field about five minutes' walk outside the village. Above is the sheepfold where St Bernadette used to shelter the sheep. Below, in a photo taken on the walk back from the sheepfold, you can see how the Church of St John the Baptist, dominates the scene. One of the highlights of a visit to Lourdes is to take part in the evening Torchlight Procession. Beginning at 9pm, it is still light during most of the summer but during the hour of the procession it gradually becomes dark so that at the end, there is a sea of candlelight at all the choruses of "Ave Maria." 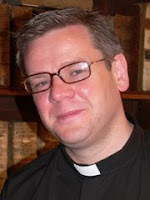 This week sees the pilgrimage of the Diocese of Hexham and Newcastle, led by their recently ordained Bishop, Seamus Cunningham. This evening, Bishop Cunningham gave the Pontifical Blessing at the end of the procession. The picture is rather blurred, I'm afraid but I did take a video clip and will put that onto YouTube when I get home. It has just dawned on me what a wonderful thing it is to be in a place where there is a Blessed Sacrament Procession every day. Historically, many of the miracles, both attested and informal, have happened during the Benediction of the sick at the end of this procession.